Evergreen Park, Illinois is an inner-ring southwest suburb of Chicago with a population of about 20,000, located about 10 miles from the Loop. Although established as a village in 1893, most of Evergreen Park’s growth occurred during the middle of the 20th century. This, combined with the fact that Evergreen Park is sandwiched in on three sides by Chicago and by suburbs Oak Lawn and Hometown on the fourth side, caused Evergreen Park to be built out by 1960. As such, growth in the Village has been relatively stagnant for several decades. In this post we will examine the interactions of very separate, racially segregated neighborhoods in close proximity and how they have affected retail offerings to present an interesting case study marrying economics, geography, and socio-spatial interaction. Considering that the relationship between the scope of retail and place is based on a broader geographical area than one suburb (such as Evergreen Park), we have to examine the entire vicinity in terms of retail offerings, and also demographics in general. Evergreen Park itself is middle class, almost 90 percent white, and unchanged since the 1960s. 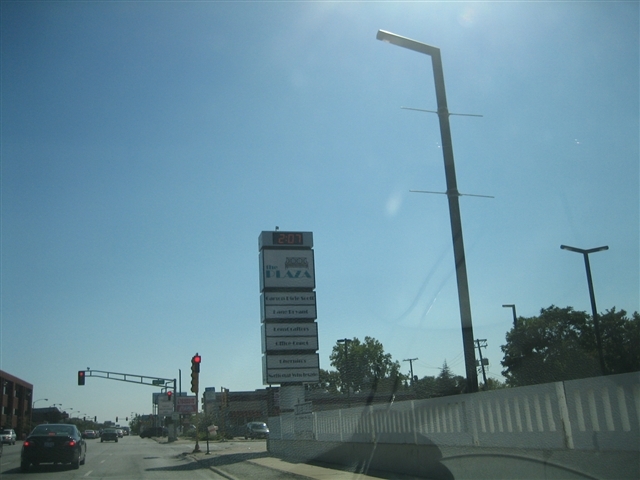 On three sides of the village is Chicago, whose neighborhoods immediately adjacent to the village range from suburban-style nearly 100 percent white enclaves such as Mount Greenwood to very racially and economically diverse sections such as Ashburn on the north, and Beverly to the east. Further afield, and yet not at all distant from Evergreen Park are neighborhoods like Washington Heights which are nearly 100 percent black and poverty stricken. This melange of neighborhoods exists within very close proximity to one another; however, segregation and racism has presented many obstacles for positive interaction between them. 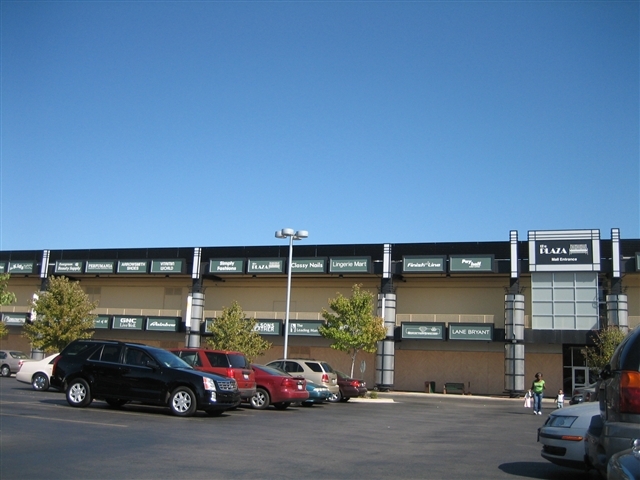 In terms of retail offerings, Evergreen Park is mostly residential with two important commercial corridors: 95th Street, which runs through the city from east to west and Western Avenue, which forms the eastern border of Evergreen Park and is a retail corridor shared with the city of Chicago. The 95th Street corridor is also heavily populated with retail offerings into the city of Chicago to the east and even moreso into Oak Park and beyond to the west. 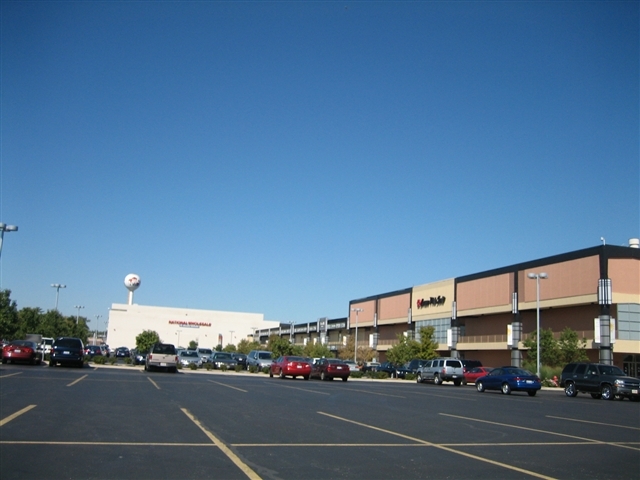 Major shopping malls in the area include Chicago Ridge Mall several miles to the west along 95th Street, Ford City Mall a few miles north in the city of Chicago, and The Plaza in Evergreen Park located where the two major retail corridors in the village intersect, at 95th Street and Western Avenue. Evergreen Plaza opened in 1952 as an open-air shopping center developed by Arthur Rubloff, one of if not the first of its magnitude in all of Chicagoland. It was anchored by two grocery stores (one was Jewel) with a row of shops in the middle, which was a new idea at the time. Other stores included The Fair, a small local department store, and Woolworth’s, Lytton’s and Walgreens. Chas A. Stevens, an upscale small department store chain based in Chicago, opened in 1962, and Carson Pirie Scott followed not long after. In the 1970s The Fair store became Montgomery Ward. 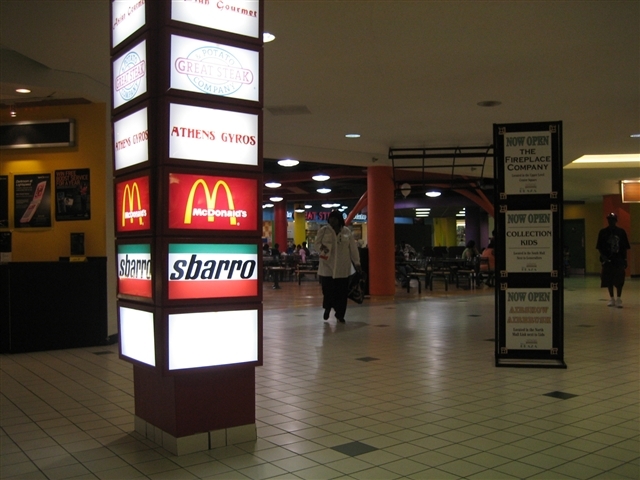 The mall was also enclosed in 1966, and has been expanded several times including the addition of a food court in the late 1980s or early 1990s based on its decor. 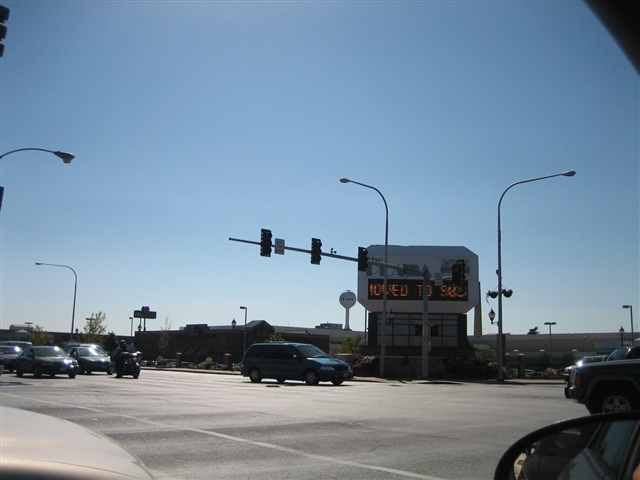 Also in the early 1990s, a Silo electronics location was replaced with Circuit City. Changes since 2000 have led to high turnover at Evergreen Plaza. Montgomery Ward closed its four-story anchor in 2001 as the whole chain went under, leaving a huge vacancy near the north end of the mall. Circuit City and Walgreens both closed in 2005; Walgreens was replaced by Office Depot shortly thereafter. Also in 2005, National Wholesale Liquidators, an east-coast based high volume discounter, took two floors of the former Wards space. 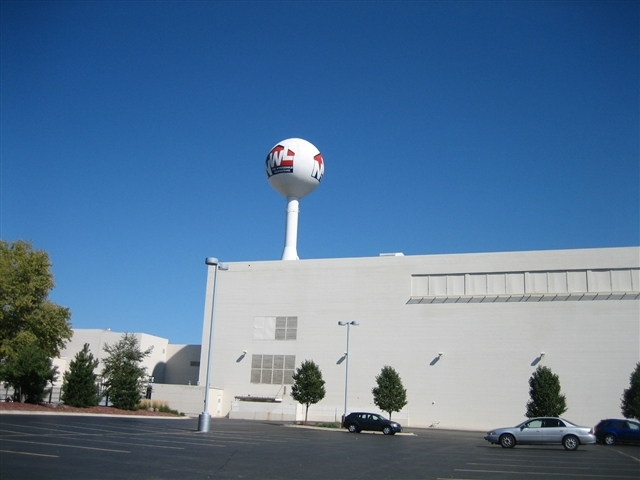 Upon their arrival, the NWL logo was emblazoned on the mall’s once-iconic watertower, which one sported the mall’s “e” logo with the background image of an evergreen tree. In addition to these changes, the mall’s demographic base has shifted dramatically over the course of its existence. When it opened in 1952, it was the premier shopping center in the Chicagoland area and was a destination mall for many years, courting shoppers from all over the area. 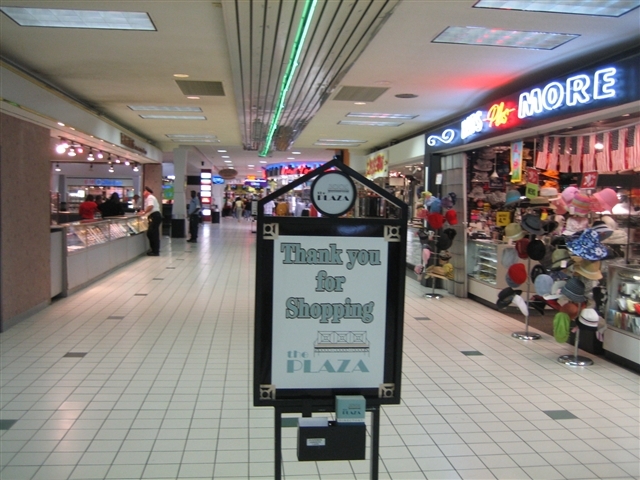 However, as other, bigger malls opened in the area, The Plaza’s niche started to fade. In 1981, Chicago Ridge Mall opened just five miles west of the Plaza along the same 95th Street retail corridor. 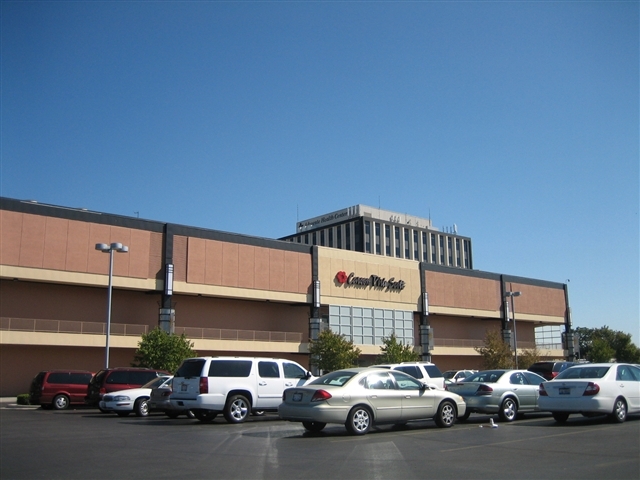 While this was the most direct blow to The Plaza’s dominance, other south-suburban malls such as River Oaks Center remodeled and enclosed in 1994, and Orland Square also remodeled in the late 1990s and early 2000s, positioning itself as the dominant tier-A mall for all of south and southwest Chicagoland. Even indirectly, as the suburbs moved outward from the city so too did the wealth, leaving The Plaza a bit out of sorts. As such, The Plaza acquired a new niche catering heavily to the black population living on the south side of Chicago and surrounding suburbs. 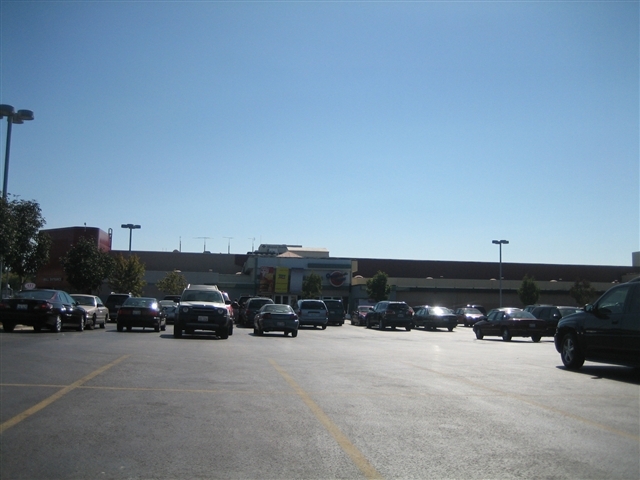 As The Plaza is literally across the street from Chicago, the convenience the center provides these customers is immeasurable, since Ford City Mall is the only mall situated in the City on the south side. Interestingly, very few customers of The Plaza today appear to come from Evergreen Park or Oak Lawn, spreading a dichotomy of separateness which interestingly segregates most residents of Evergreen Park from their own mall. Despite changing times and competition, Evergreen Plaza remains a very popular destination. A lot has changed over the years, but in our opinion this only adds to our fascination with this mall. The decor is decidedly dated on the inside; however, numerous attempts have been made to update the outside facade, especially facing Western Avenue. The mall itself is also rather long and winding, extending from Office Depot in the north to Carson’s on the south end. 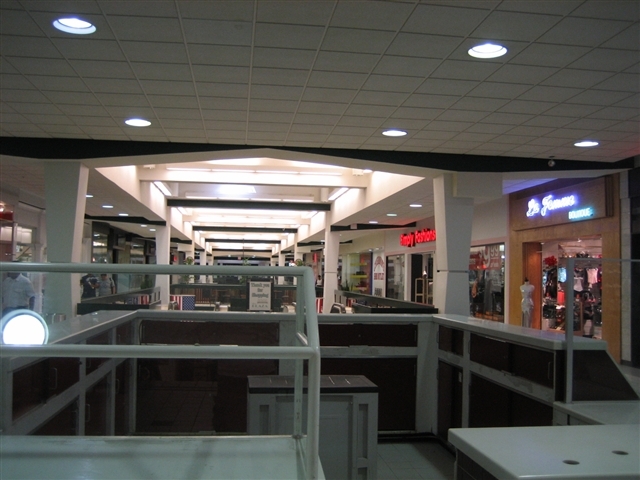 The center court is an impressively dark, cavernous Gruen-esque space, and also the point where the mall sprouts a basement level which continues on from center court to Carson’s; another smaller basement level with service-oriented shops is located in the original north corridor near Office Depot. 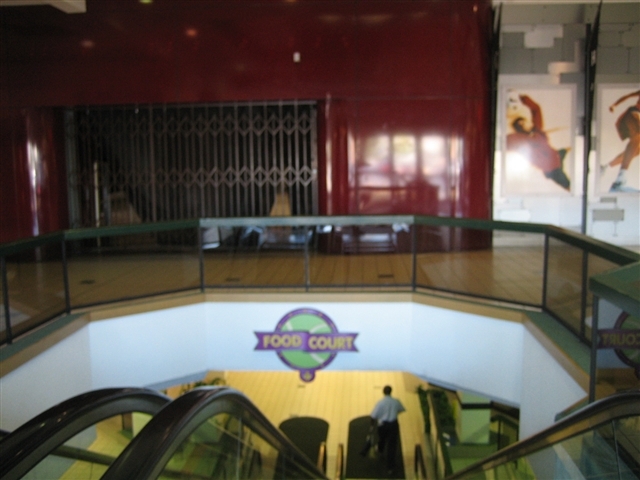 The neon-laced food court, which was added sometime in the 1980s or 1990s, also exists in the basement, and a sizeable side hallway extends past the food court culminating in an escalator up to another side hallway on the upper level – an interesting, quirky feature. 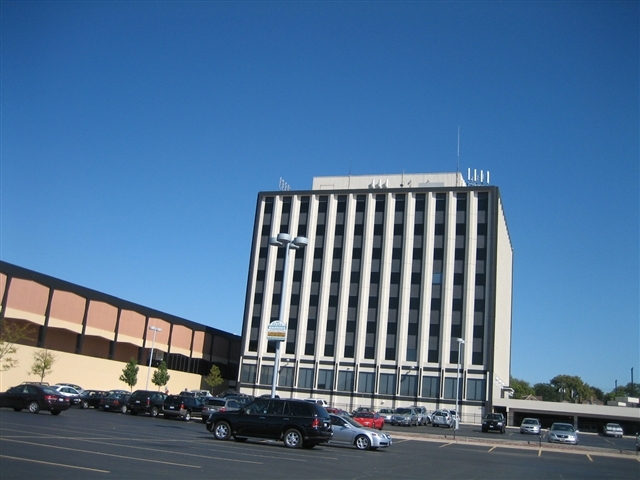 Also, the NWL (former Wards) anchor has a water tower, and the mall features a large office tower at the south end. 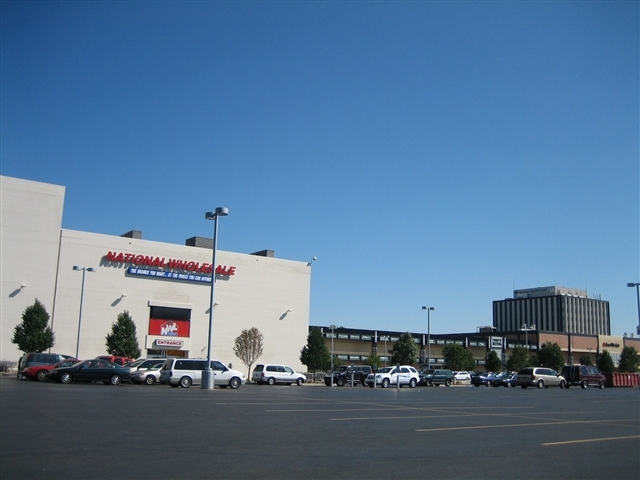 Until recently, a large parking deck existed between Carson’s and NWL and a popular, problem-infested movie theatre existed on the property; both were recently razed. We hope the mall wasn’t damaged in the recent holiday decorations fire, which also sadly closed the mall for two days during December 2007. Take a look at the pictures featured here; they were taken in September 2007. Feel free to add your own comments and stories, or send us some retro photos of this or any mall. UPDATE 1/13/08: Another one bites the dust. Coincidentally, the very next day after we posted this mall, news surfaced about its potential demise and redevelopment. According to this recent article in the Chicago Tribune, mall owners are currently looking to redevelop the mall as an open-air center, replacing the existing enclosed structure which hasn’t changed much in over 40 years. The ostensible goal of the renovation is to reinvigorate the center to its former glory, with an emphasis on returning ‘upscale’ stores to the center as were present in its earlier days. Also take a look at some vintage photos of the mall on the Tribune’s site. 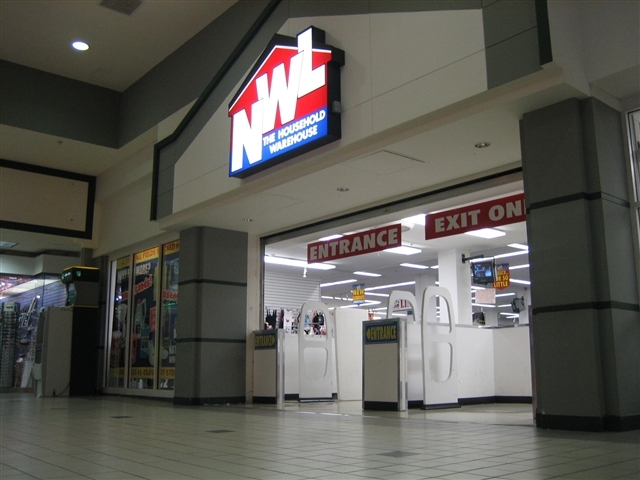 In addition, the article glosses over the fact that NWL’s lease expires in April, though makes no mention of the lease being renewed or the store closing. In our opinion, the former Wards four-level behemoth anchor, at 225,000 square feet, could never be fully leased as one store again. It will either have to be parceled out somehow to box stores, or razed altogether for new purposes. The lease expiry is probably an ominous hint of things to come. More gaudy 1980s neon and chrome goodness to get the New Year rolling. It’s funny, when I plot out where I’m going to go (for mall exploration) every year down in Chicagoland in the spring, those mapping sites always miss these ‘out of the way’ malls. Sure, they include Ford City, Chicago Ridge and Orland Square (all mentioned), but not this one. Then again, they listed North Park Mall, which is virtually dead, so what am I to say. Anyways, this is a nice find you guys dug up. 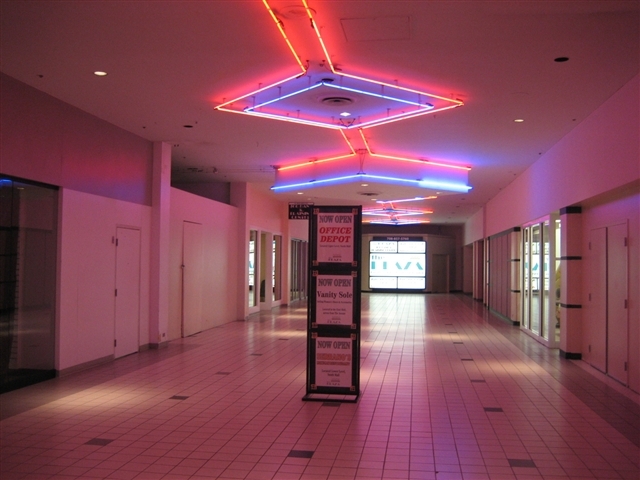 The neon accents remind me a lot of what malls were doing heavily in the 1980s. I too hope the recent fire hasn’t done much damage. Did it happen right ‘in’ the mall itself? Yikes. That is quite interesting. I love that Green center court, haha. Excellent choice for writing up on labelscar, since it feels like Prangeway read my mind about Evergreen Plaza(or the shortened name it now goes by today, ‘The Plaza’) being one that really is deserving of coverage here. 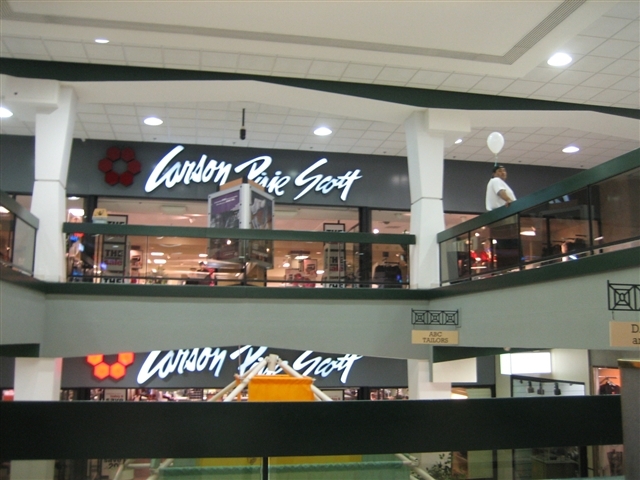 Anyway, I was very lucky to be able to visit this mall in 2006, due to the fact that a friend of mine had an appointment with a person who worked in one of the businesses in its office tower. After visiting this mall for myself then, I definitely attest and agree with Prange that it did a good job of adapting to catering to black communities east of The Plaza over time. Not to mention, he also is dead right about white residents in the Beverly/Morgan Park neighborhood of Chicago(just to the east of this mall), Evergreen Park, and other nearby SW suburbs mostly preferring Chicago Ridge Mall or Orland Square over The Plaza, due to the fact that while I walked the whole mall, the only time I observed other whites in the mall(office tower obviously excluded), besides myself and the friend I was with, were either a small number of mall workers, or ones shopping the anchor stores(particularly Carson’s). Not to mention, The Plaza has probably benefited somewhat from the reputation problem that Ford City Mall, its main mall competitor a few miles northwest of here, has developed in recent years(albeit that I believe Ford City is bigger than The Plaza, if my memory is correct). Finally, I really enjoyed walking around the mall, since it felt like it had a preserved time capsule feel of older malls, and still looks the same way today. I see I was right about suspecting that Silo had preceded ex-anchor Circuit City in that space, due to the familiar Silo exterior I observed on the east(Western Ave.) side of the mall, LOL. Anyway though, glad to see you went ahead and did a write-up on this mall, due to the fact its located on the total other side of Chicago from where I live, and that I have no clue when I’ll ever have time to revisit here again. Not to mention, I had no clue how mall security would be like, so I hardly took any pics of the mall, other than exterior pics(BIG mistake I kick myself on, but just as well you went ahead and did them). Only small thing you missed in your pics is that if you look carefully in a few parts of the mall(including on the 2nd floor just outside of Carson’s), there are ‘walking path’ maps of the mall that obviously date back to when The Plaza was called Evergreen Plaza, and used an older logo consisting of a tree, with an ‘e’ on the top part. 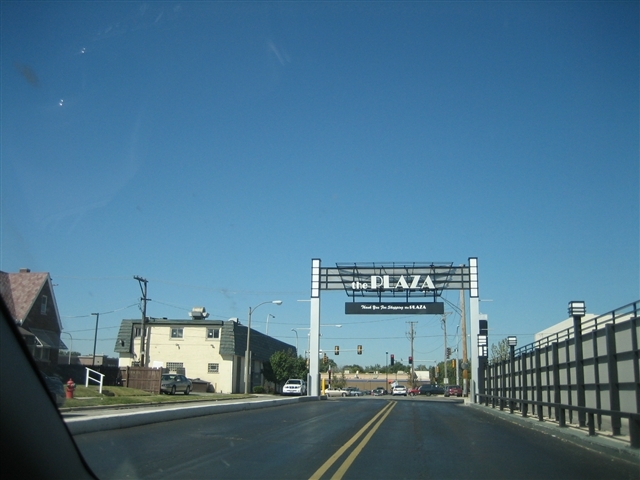 I think there’s one strip shopping center just south of there on Western Ave. owned by the same company as the one that owns the mall, and where the company has still yet to update the logo to this day. I actually noticed those walking maps, but didn’t think my camera would get a good shot of them. The place is so dark as it is, it was hard to get any shots that didn’t turn out blurry without using flash – which I never do as it attracts unwanted attention. The old logo with the evergreen tree is cool though. I wonder when they started just calling it ‘The Plaza’ and dropped the Evergreen? It seems like it happened slowly. 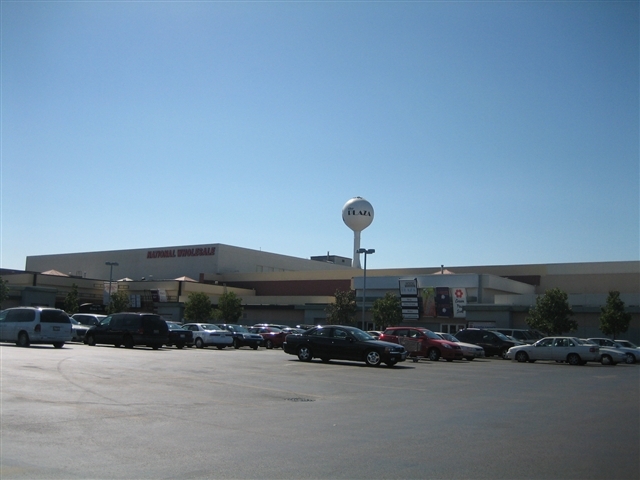 This is definitely a gem though, being one of the few remaining old school malls in the Chicago area without a major renovation, now that they’ve torn down Lakehurst, Brickyard, Woodmar, and most of the older small ones. The Fair wasn’t like Kresge, it was a lower end department store in the Wieboldt’s class. It was classy enough to be at Old Orchard and in Oak Park (Wieboldt’s was in Oak Park, too). Wards bought into the chain at some point and then took over the stores in the late 50s/early 60s. Evergreen Plaza is on the border with Chicago, so the estrangement from the town is not quite as odd as it sounds; the beverly Morgan area is largely S of 95th St. The area to the palza’s east on 95th Street used to be a major furniture retailing area, well into the 80s. The Fair was purchased by Wards sometime in the 50s and converted to Wards in 1964-65. The Fair was based in Chicago and had branches at (as far as I know) Evergreen Plaza, Randhurst, Old Orchard, Oak Park, and State Street in the area (I think there were a lot more). The Plaza itself is an interesting little mall. The Carson’s wing was added in the late 60s, early 70s and had a parking deck between Carson’s and Ward’s. That was removed in the past couple of years. 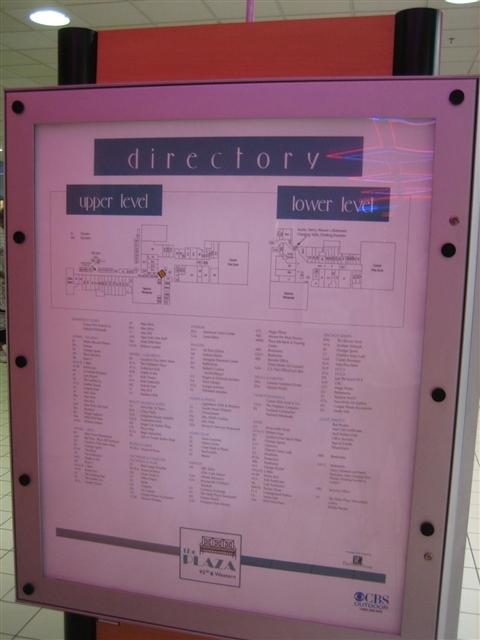 The original mall floor plan was from Walgreen’s (now Office Depot) by 95th Street, to The Fair (later Ward’s) in the corner, and then over toward what was Circuit City by Western Avenue. Basically an “L” shaped center that was enclosed. 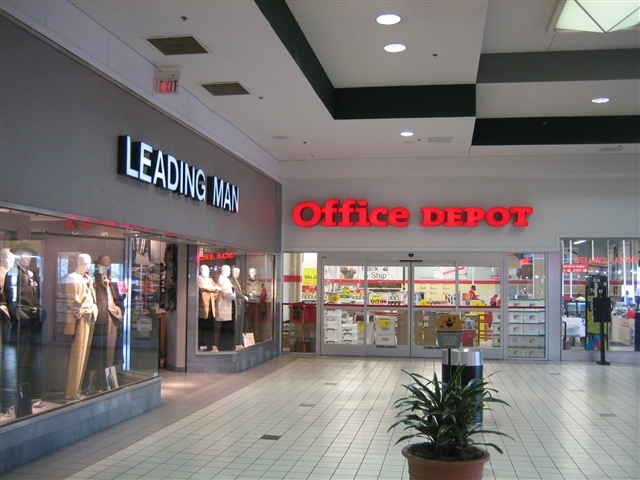 There is also a small basement area between the former Ward’s and Office Depot for service type stores (e.g. shoe repair). Any idea where Lytton’s or Madigan’s were in the original lineup? Glad to see the mall is still going, albiet as a B mall. 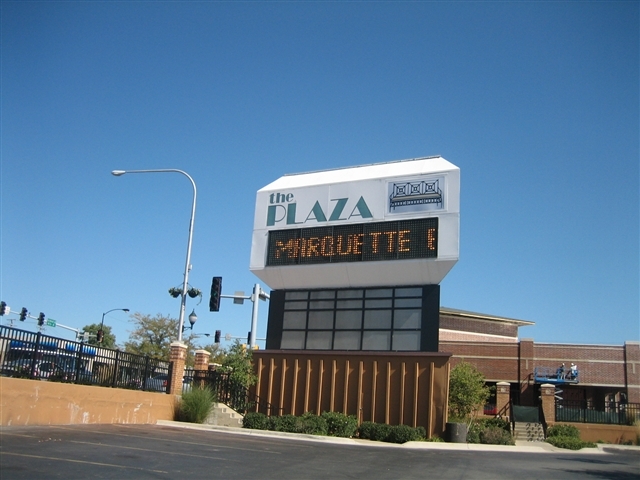 Some sources has the Plaza as the oldest enclosed mall in Chicagoland (others say it was Randhurst). Demographics are a problem with a few crime ridden neighborhoods in ChIcago are nearby, but Ford City has the bigger crime reputation. Evergreen Park and Oak Lawn are landlocked, but they have not changed very much since the 60’s. Chicago Ridge is rather small mall that survived the loss of Wards much better than other Chicago malls (Lincoln Mall, Randhurst, Yorktown). Like North Riverside Mall, the Plaza can keep going as long as no major crime stories happen. I do have a question: even if the tenant list doesn’t scream bizarro stores, what constitutes a mall as “scary”? I read the posted article. Just what we need….another ‘big box’ strip. Alas, the only malls that will survive in the forseeable future will be your Orland Squares, Woodfields, Mayfairs and Fox Rivers of the world…..essentually your mid-line to upscale tenanted malls. All others will fall dead to the box stores. Makes me wonder when / if my hometown Forest Mall in Fond Du Lac WI will be ‘de-malled’? Then again, it draws from a mostly-rural surrounding…being the only enclosed mall worth something within a 35-mile radius….basically drawing from Sheboygan, Beaver Dam, and Oshkosh…all of which had enclosed malls but have all since been faltering or are already dead and used for other purposes….not to forget drawing from smaller towns around here. That may be the strength to its staying power. Having a popular Kohls, Penney, Younkers, Staples and Best Buy (outparcel, adjacent to the mall) as strong anchors helps also. So, is NWL leaving? When did this happen? Jonah, the mall is scary because of the people that inhabit it. You obviously aren’t from around these parts, but for the last thirty years, the mall has had a problem with theft, armed-robberies and shootings. It got worse over the last twenty years, and for that, people of the community stopped shopping there. Until you step foot in the mall, I suggest you leave your commentary on other people’s experiences to yourself. There is a reason that the village of Evergreen Park expends too many of its resources on policing the area, along with tearing down the movie theaters. There are also complexities that have to do with the demographics on the south side and, specifically, the absorption of former CHA tenants now that the high-rises have been torn down. Yes, you’re a mall romantic, and that’s great. But just as you romanticize malls of past, people in Beverly, Evergreen and other neighboring communities romanticize those shopping trips they made with their parents, at a time when the Plaza was an upscale place, a treat for the young ones for a good report card, or the purchase of a something for their dances, beit a suit, pair of shoes, or prom dress. Sadly, these things are no more. The retail has bled into a culmination of shoe stores, nail salons, airbrushing shops, and more shoe stores. Yes, change is inevitable, and sometimes sad. But just as you’ll lose your old-time mall, one in which you’ve never stepped foot, we lost a tangible place, soaked with memories of our youth. So please feel free to continue your eulogy, but realize that for people who actually live or have lived in the community, this place is steeped in an actual history chocked in both good and bad. And like the elderly grandma who once stood tall by raising a family, involved herself in the community and did as much, if not more than her husband in the grand scheme of things, her best days are now behind her, and she can’t possibly enjoy what life has become. By the way, the history of the Plaza on this site is pretty accurate, but the description of the communities around it are slightly-off base. Evergreen Park and Beverly have a lot of affluent residents, and although there are blue-collar workers among them, they are not the majority. Lastly, I wanted to point out my own little history. I remember during the riots in the late-60s, the National Guard was actually stationed on what was then a two-tiered parking area near 97th Street. @jessejacksonJr., Jesse, come on! The Evergreen Plaza WAS a great mall, The Plaza is not. Half of the stores are vacant, employees fear for their own safety, or are plain rude. The whole area, wheither it black,white or whatever just want a mall that is safe period! Every time I see neon in a mall it reminds me of The Corner Mall here in Boston. That’s one that needs to be on this site at some point. Some of the comments people have posted (not necessarily here) but on that Tribune page and elsewhere about this mall seem kind of ignorant and even mean-spirited. Yet, they do paint a clear picture that malls sure do matter. Our sense of place is inextricably tied to our memories and something as simple as spending the afternoon at the mall with our parents or friends has lasting impressions. I know that’s part of why this site means so much to me. Growing up on the tail end of malls’ heyday has given me the background and personal experiences to appreciate and wax nostalgic for them, but I don’t live in a vacuum either. I realize malls are just a retailing fad, and their existence is predicated largely upon this and nothing else. What was en vogue yesterday won’t be tomorrow; I realize this. Having a 100% climate-controlled indoor environment with many replications of outside while shopping at 100 of your favorite stores has been replaced by retail centers mimicing downtowns and being able to park near your favorite store. We get it. But consider this. Victor Gruen, who created some of these first majestic malls, noticed their artistic decline shortly before his death in 1980. When he created malls, he gave them soul, marrying artistic design with their retail functionality and in the end creating visual masterpieces nothing short of amazing. Shortly before his death, he noticed this soul wasn’t being put in the newer malls, and this is even moreso true today. 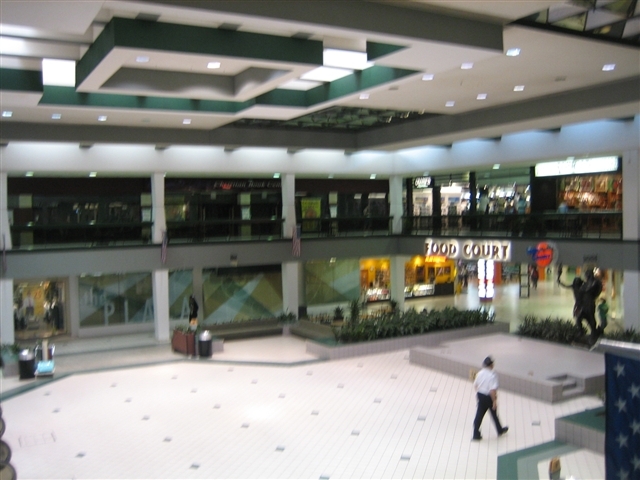 Many successful, modern malls are decorated in a minimalist, sterilized whitewashed manner with indoor amenities like trees, fountains, conversation pits, and other uniqueness being taken out and replaced by simple white tile to place kiosks upon in order to maximize profit. Or even more horrifically, the most recent designs do away with establishing a uniqueness or environment altogether, essentially cobbling together big box, department stores, and in-line small stores all in a row with a sidewalk in front of them and a huge concrete sea beyond that for parking. They’re being rebranded as ‘Lifestyle Centers’ because they are convenient to today’s busy mom or ‘Mixed-Use Centers’ because they have some offices and maybe a condo building or two. Fine, but give them some soul, and a shout out to Victor. For the record, Ranhurst, opened in 1962, was the first indoor Chicagoland mall built from the ground up. Evergreen Plaza wasn’t enclosed until 1966. Also, The Fair stores were converted to the Montgomery Ward banner in the fall of 1963. Malls were getting pretty generic well before Gruen’s death. They grew- out of even more typically lifeless plazas. To his credit, Gruen designed notable “shopping plazas” that showed better use of space and modernist design than most of their peers. The model for lifestyle centers much predates his work, though. Early planned shopping centers that were integrated into surface streets (Country Club Plaza in Kansas City) or streets & mass transit (Shaker Square in Cleveland) are more clear models and go back to the 20s. Country Club Plaza still thrives and its origins are visible. Shaker Square has struggled off and on for quite a while, but still survives with much in the way of original form, which some additions from the 40s. Office buildings or second floor office space were common adjuncts to early shopping centers and this continued well into the 50s. My old dentist was over a Revco in a post-war section of Cedar-Center outside of Cleveland (that center is getting a complete makeover, but the office section lasted over 50 years; the pre-war strip across the street already has been redone). My local Shoregate Center had an office building as an original 1955 tenant (it;’s still there). Many early plazas were next to residential neighborhoods (Shoregate) or well-planned garden apartment complexes (Cedar center). Shaker Square was surrounded by well built small apartment buildings and built with an adjacent luxury complex, The “lifestyle center” goes back to the earliest concepts of planned shopping centers, as such they really are a departure from malls. “In keeping with space theme of the openings, Illinois Bell Telephone company will present special Telstar demonstrations at the Oak Park and Evergreen stores Thursday and Saturday. 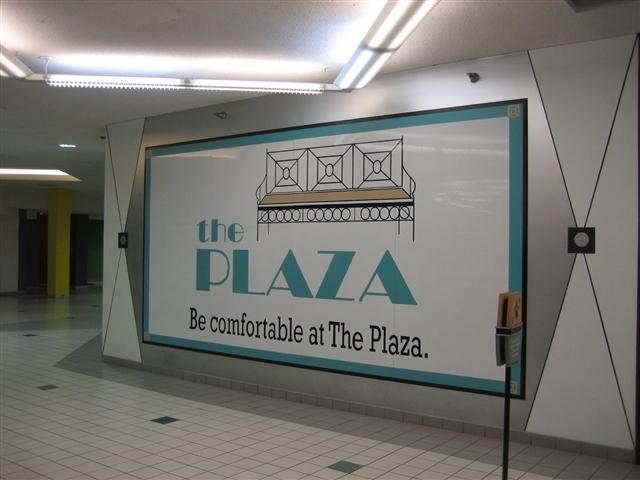 I’m glad you had some history and pictures of “The Plaza” on your site. I grew up (in the 70’s, early 80’s) just east of then called, “Evergreen Plaza”. It used to be such a nice mall….I recently heard about the tree fire in December 2007. My guess is the mall will never recover after that incident. Looking at the pics and the current retailers listed, the mall has gone way down hill. Evergreen Plaza used to be “the place” to shop if you lived in that area. Slowly, the demographics changed and then they built Chicago Ridge Mall. The new mall pulled the modest Plaza shopper to its’ mall. The retailers changed at Evergreen Plaza to the point of where it was dangerous to even consider shopping there. Oak Brook was the ultimate option if you wanted upscale shopping and were willing to make the trip. So gone are the days of a once great mall. The probably should just tear it down and throw up a strip mall filled with cheap discount stores. Thanks again, it was nice to stir up some memories. While I’m in favor of a major redevelopment, I think they should keep it enclosed, and make it look like the Harlem-Irving Plaza. I am just glad to see that they recognize a change is needed. Although there have been many chages already, I’d like to see the changes become more upscale. The Plaza is geared to the teenagers and thug-wannabes just way too much. There are families, families, and more families in that area. Why not make it a mall where families can do some quick Saturday shopping and dining??? If you’re gonna change…….I say, Change BIG! Too bad they are going to the open air concept with this mall. I think it is actually an attractive mall…a little different. They converted the Bayshore Mall in Milwaukee to one of these open air outdoor concepts to mirror the feel of Oakbrook (IL), and quite frankly it hasn’t caught on with the locals. We are in the Midwest for heaven’s sake; it gets COLD here. Some of the merchants didn’t last but a few months in this outdoor concept. Why don’t they just update the mall or change some of the design elements. It’s great to plan for the future and implement a strategy to deal with the change in retail climate, but why “fix” something that doesn’t appear broken? Am I missing something here with this mall? 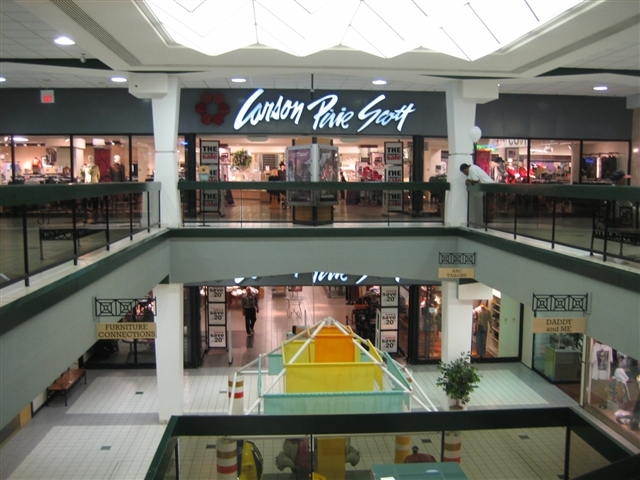 If you see Mall Hall of Fame, there used to be an EVEN SMALLER store there. Maybe The Plaza needs a total “restart” in its life. Go back to an outdoor mall, rename to Evergreen Plaza and bring in non-lifestyle center stores. Was by this mall last Friday and it seems to be doing quite well actually. There are a few empty stores but most all are open. The Circuit City space is still empty and Carson’s was pretty quiet, otherwise well. Good article, with accurate facts for the most part. I’ve lived in Evergreen Park twice in my life. I grew up with The Plaza and worked there in the early 1970’s. It’s in better shape now than then. I used to see Arthur Rubeloff with his trademark derby eating hamburgers at the nearby “Wimpys”, which is now and Arby’s. I remember The Plaza with the Jewel food store. There was a conveyor belt that you could load your groceries onto and it came out in the east parking lot. The plaza is a great place to shop. Been shopping there my whole life. The Carson’s store is the best one in the Chicagoland area. I live in Evergreen Park and I’m white. I have to laugh at the comments about how “scary this place is to shop”. Yes there are hip hoppers and teenagers shopping but never seen anything I haven’t seen at Ford City or River Oaks. Because of the “scary people” It cuts my Christmas shopping time in half. While the “frightened ones” drives 40 minutes to Orland and fight the crowds, I’m in and out of Carson’s and don’t have to drive around looking for a parking space. They do need another anchor store to replace Wards, to help the mall survive. A JCPenny would be perfect for that mall. @Sharon, PENNYS are just ghetto! Look a.k.a. Ford City. JCP has security but they are outmatched by the “CROWD’ that mall has. A redevelopment has been announced for this mall, and they want to tear down the original 1950s segment for a strip center while adding another anchor. Looks like The Fair building will be kept. I hope the redevelopment will look like a smaller Old Orchard. A regular strip mall would look boring. Since I want to own movie theaters, my dream is to build an 8-10 screen, 2500-3000 seat cineplex at the plaza. Pehaps with a parking deck too. Thought you’d all like to see an aerial of Evergreen Plaza from 1954. I ran across this site looking for old pictures of Evergreen Plaza. Thanks for the forum to share memories – reminded me of the yearly ritual of shopping for new school clothes with my mother and grandmother. I grew up in EP and left for college in 1982. Not sure about current inter-racial relations, but back then one would have thought EP was some segregated town from the South in the 1950’s. I very well remember some of the village and realtor tactics used to keep blacks from moving into the neighborhood, and remember 2 distinct occasions when black families received death threats after having attempted a move. The incidents never made the news. Mt. Greenwood was 100% white because it is the furthest region within City of Chicago limits – and is populated mostly by City Fire and Police who are required to live within the City boundaries. I certainly hope the climate has improved significantly since then. While EP was probably one of the safest communities for children, the racial issues represent a significant blemish to its history. Looks like the Plaza is headed for foreclosure. End may be near. Evergreen Park also has approved a new outdoor center at the former Evergreen Country Club, anchored by Menards and Meijer.